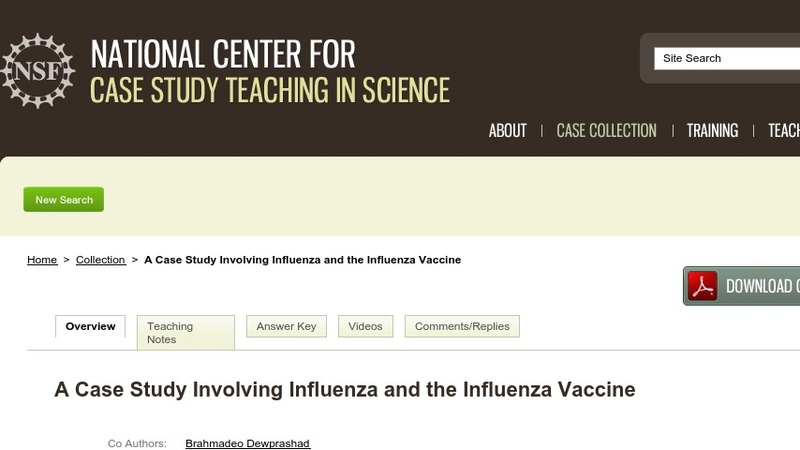 This interrupted case study presents a discussion about the benefits of the influenza vaccine between Mary, a nursing student, and her coworker, Karen. Karen is not convinced by Mary’s arguments in favor of vaccination, and she counters with several common rationalizations for not getting the vaccine. Students work in small groups to evaluate the arguments for and against vaccination from the perspective of each woman. In addressing the questions in the case, students learn about the general biology of viral infections, treatment of infections, and immunity. The case was designed for use in an entry-level course in microbiology for nursing students or a first-year biology course for majors.